Editor's note: Prof. Thomas Kruessmann is key expert in the EU Technical Assistant Project "Strengthening Teaching and Research Capacity at ADA University" in Baku (Azerbaijan). At the same time, he is co-ordinator of the Jean-Monnet Network "Developing European Studies in the Caucasus" with Skytte Institute of Political Studies at the University of Tartu (Estonia). The notion that “fish rots from the head down” is known to many cultures and serves as a practical reminder on what is at stake in the current wave of anti-corruption / integrity and good governance initiatives. The purpose of this blog post is to provide a short update on the recent founding of the International Partnership against Corruption in Sport (IPACS), intermittently known as the International Sports Integrity Partnership (IPAS), and to propose some critical perspectives from a legal scholar’s point of view. The Reform of FIFA: Plus ça change, moins ça change? Editor’s Note: Saverio Spera is an Italian lawyer and LL.M. graduate in International Business Law from King’s College London. He is currently an intern at the ASSER International Sports Law Centre. The time is ripe to take a closer look at the CAS and its transparency, as this is one of the ways to ensure its public accountability and its legitimacy. From 1986 to 2013, the number of arbitrations submitted to the CAS has grown from 2 to more than 400 a year. More specifically, the number of appeals submitted almost doubled in less than ten years (from 175 in 2006, to 349 in 2013). 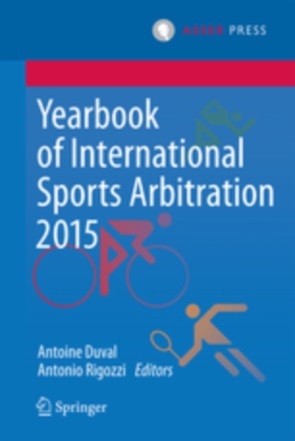 Therefore, the Court can be considered the judicial apex of an emerging transnational sports law (or lex sportiva). In turn, the increased authority and power of this institution calls for increased transparency, in order to ensure its legitimacy. On 3 June 2015, Sepp Blatter resigned as President of FIFA after another corruption scandal inside the world’s football governing body was brought to light by the American authorities supported by the Swiss prosecutor office. Two months after Michel Platini announced he would be a candidate for the next FIFA Presidential election, on 25 September 2015, the Swiss prosecutor opened an investigation against S. Blatter on an alleged disloyal payment he authorised to M. Platini. On 8 October 2015, the FIFA Ethics Committee announced both of them were provisionally suspended upon their hearings, a suspension that was later confirmed by CAS. In the end, M. Platini was sanctioned with an eight years ban from all football activities, later reduced to a six years ban by FIFA Appeal Commission on 24 February 2016. In the meantime, he withdrew his candidacy to become the next FIFA President. On 9 May 2016, after M. Platini appealed this sanction, the CAS confirmed the suspension but reduced it to four years, leading to his resignation from the UEFA presidency and the announcement of his intention to challenge the CAS award in front of the Swiss Federal Tribunal. ‎Editor's Note: Ryan is Assistant Professor at Thompson Rivers University, he defended his PhD at Erasmus University Rotterdam in December 2015. 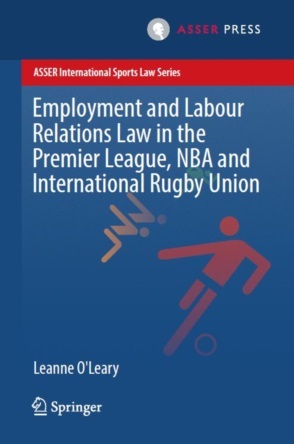 His dissertation examined human rights violations caused by international sporting events, and how international sporting organisations may be held accountable for these violations.